The music industry is currently awash in copyright battles. New technologies force everyone to protect their slice of the pie. The Grateful Dead was one band that addressed this issue early on. Their ‘open door’ policy of encouraging a cult of bootlegging and brand recycling broadened their reach and helped propel their success. Many bands today explore similar paths. But navigating the maze of intellectual property rights issues has never been simple. Over two centuries ago new technologies in pottery making changed the Decorative Arts landscape. The use and abuse of patent laws led to an equally complex slate of responses. Many potters relied on patents and copyrights to assure recognition and appropriate compensation for their discoveries. Some avoided patents, feeling the required detailed description of a particular technique would only make that technique easier to steal. The most far-sighted saw the possibilities of a bigger picture. This situation offers a rare chance to liken Josiah Wedgwood to the Grateful Dead. …But he did sue people for stealing his process information. The Rise of the Staffordshire Potters. John Thomas. Adams & Dart/London. 1971. 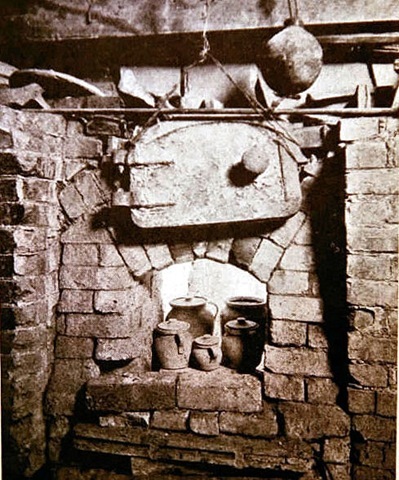 Master Potters of the Industrial Revolution: the Turners of Lane End. Bevis Hillier. The Born & Hawes Publishing Co./London. 1965. Staffordshire Pottery and Its History. Josiah Clement Wedgwood. S. Low, Marston & Co. Ltd/London. 1913. A Long Strange Trip: The Inside History of the Grateful Dead. Dennis McNally. Broadway/New York. 2002. I worked with Potters for Peace in Nicaragua, Central America, in the late 1980’s and early 90’s. One of my assignments was in Somoto near the Honduran border, with the Taller de Ceramica Porcelanizada Arturo Machado (The Arturo Machado Porcelaneous Ceramic Studio). Somoto was for a time hotly contested during the Contra War. The pottery was a municipal training project for evacuees brought into town to create “free fire zones” in the surrounding countryside. The Somoto shop made stoneware, utilizing abundant local raw materials particularly suited to high fired work. The shop was run by Lucilla Figueroa. Lucilla was the first (and only?) female stoneware potter in the region. She grew up in nearby Mozonte where she was the only girl accepted into a pottery training project run by a man named Arturo Machado. Arturo had died prior to my arrival. Lucilla named the shop in his honor. Whenever I was in town, I stayed in an apartment attached to the shop. One night during a firing, Lucilla began talking about Arturo. She said his ghost often came around at night during firings. Once he scattered the kindling used to preheat the kiln. Another night he gave Lucilla electric shocks every time she opened doors. “So what about him?” I asked. “He’s here. I just heard him,” she said. Where? In your room. Bumping around. I survived the night (and the year that followed). Arturo is still probably out there, checking out firings. Lucilla had a rougher time, but she’ll be the one to tell that story. The only reason for relating this tale, is as an example of just how deep these people’s roots went into their soil. They seemed to spring up from the clay they used. In comparison, I knew practically nothing about the culture that brought me into the world. I don’t mean it’s history – presidents, wars, TV shows, etc. – I mean the point of it all. What about my roots? From time to time we should all ask ourselves that question. You are currently browsing the This Day in Pottery History blog archives for July, 2011.